One of the best times to have family photos taken is right before big changes happen! 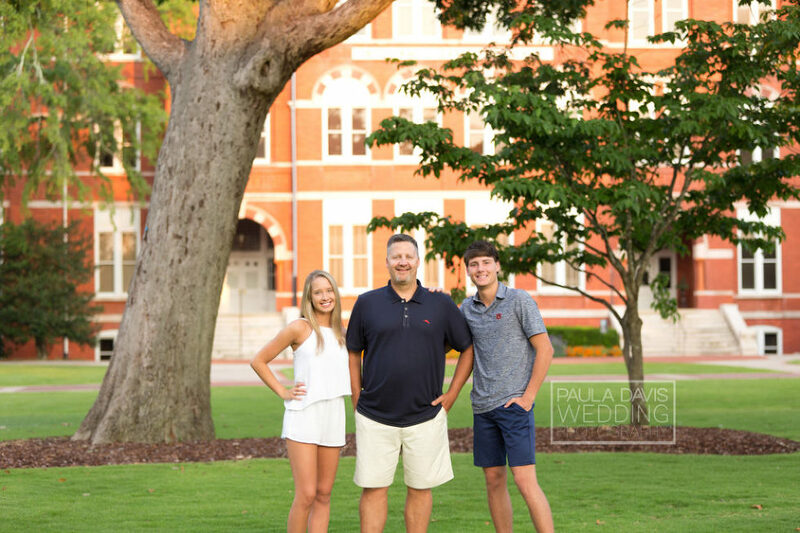 The Flaskamp family took the opportunity to capture their family this summer before their oldest son began attending Auburn University. 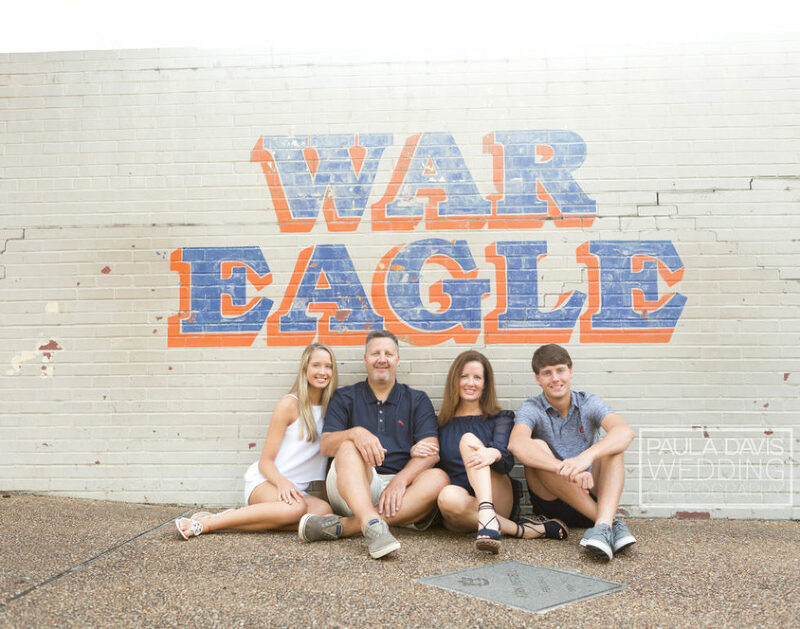 They live out of state and weren’t even Auburn fans beforehand, but they fell in love with Auburn and wanted a session that featured this new special location for them. Flaskamp family, thank you for the pleasure of photographing your beautiful family! I had a great time getting to know you and love the photos we created! To learn more or to book your session, call 256.497.6578 or email paula@pauladavislifestylephotographer.com. I had so much fun with the Roary family during our session at Town Creek Park! The sweet kids were so cooperative and I love the photos we were able to get! Just look at his smile! He’s a big fan of “The Wheels on the Bus”, so that helped us get this smile! Check out their sassy poses! Thank you so much for the honor of photographing your beautiful family! A girl and her mama have a special bond, and these two are no different! They were such a joy to photograph as we explored Kiesel Park. Is her smile not the sweetest thing!? She can even rock the model look! This precious garden was such a great spot for a few photos! We wrapped up in this lovely open field. Little miss even struck a few poses all on her own! Thank you so much for letting me photograph the two of you! To book your mommy and me session, email me at paula@pauladavislifestylephotographer.com. Some of Craig’s family recently came for a visit and we stopped by Town Creek Park one morning for some photos. The Linns have two adorable grandsons! They’re close to the same age, so it was an adventure trying to convince them to stay together, for sure! I won’t post the behind-the-scenes photos here, but their granddaddy did a lot of work to get these smiles! Having family together is the perfect time to have a photo session! To book yours, call 256.497.6578 or email paula@pauladavislifestylephotographer.com. Patrick, Anna, and Millie are so much fun! We explored this gorgeous field near their home. This field is one of my favorites around town, and they actually know the family that owns it, so it was a perfect location! Their dog came along for a few photos, but was mostly on the run! Millie was such a sweet girl! You can tell she adores her parents! Look at that sweet smile! This precious sweet was such a great way to end the session! Every girl should be able to enjoy a few times on a swing like this. Thank you so much for letting me photograph your precious family! I enjoyed it!